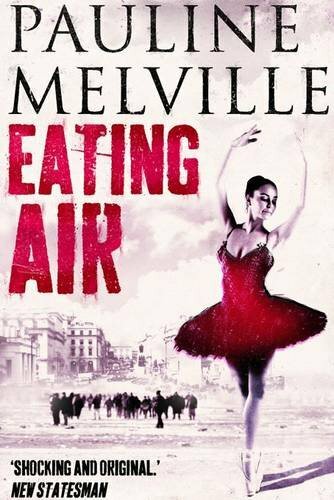 Ella is a famous ballet dancer who is married to Donny, a man she hardly sees. They met when Ella was still a teenager and Donny was an anarchist who didn’t even believe in anarchy. They are offered to live in a house of a famous artist and here Donny starts with his first robberies which later turn into ideological terrorism. This book starts in the present, with a plotting of a terrorist attack, then goes back to the sixties and seventies when all the plotters were young. And then it mixes the past and the present. I liked the beginning of the book, but then it just got confusing and even boring at times. It has too many characters, and I couldn’t remember who is who at the crucial end. But the use of a narrator who interrupts the story from time to time was interesting. But the thing that disappointed me most with this book was that the story focused too much on Ella instead of the terrorism that it started out with. I loved the first part of the book, but I was really not happy with the rest of it.